In the latest experiment of its kind, researchers have captured the most compelling evidence to date that unusual particles lurk inside a special kind of superconductor. 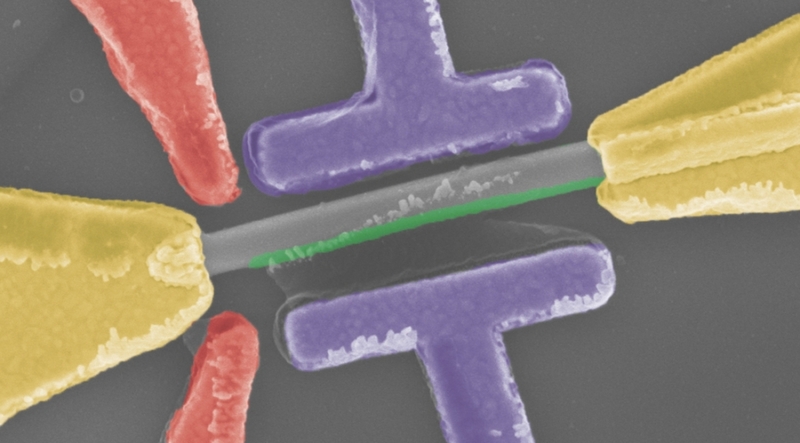 The success comes after years of refinements in the way that researchers assemble the nanowires, leading to cleaner contact between the semiconductor wire and the aluminum strip. In this test, experimenters compared their results to theoretical calculations by PFC-funded researchers at JQI.